July 2017 — Stunt pilot Vicky Benzing (B.S., chemistry, ’80), an accomplished aerobatic performer and air racer, was recently featured in a Tacoma News Tribune story about her flying career. Benzing performed aerial stunts for the Tacoma Freedom Fair and flew over a Fourth of July parade in Steilacoom, Washington, during the 2017 holiday weekend. She currently holds the record for fastest woman ever at the prestigious Reno Air Races. October 2015 — Debra Tracy, (B.A., English, ’80) has won the Bronze Medal and Seal in the 2015 Moonbeam Children's Book Awards for her novel Monet's Fun Camp. She won in the pre-teen general fiction category for the book about an inner city girl who struggles in school but has a big heart and creates a camp that brings together latchkey kids with the elderly. She lives in Minnesota. May 2017 — UC Davis graduate Douglas A. Girod was named the 18th chancellor of the University of Kansas on May 25. A head and neck surgeon, Girod (B.A., chemistry, ’81) joined the University of Kansas Medical Center faculty in 1994 and was named executive vice chancellor of the Medical Center in 2013. Girod grew up in Oregon and attended two years of community college in the Bay Area before transferring to UC Davis in 1979. After graduating with his bachelor’s degree in chemistry, Girod attended medical school at UCSF, earning his medical degree in 1985. Girod completed his residency and an NIH research fellowship at the University of Washington. Between 1991 and 1994, Girod worked at the Naval Medical Center in Oakland. A veteran of the Navy Reserve, Girod rose to the rank of lieutenant commander and earned the Meritorious Service Medal. Girod is scheduled to replace retiring chancellor Bernadette Gray-Little in July 2017. Girod and his wife, Susan, have three adult children and live in the Kansas City area. September 2016 — Anil Kashyap (B.A., economics and statistics, ’82) will begin a three-year term in October as an external member of the Bank of England's Financial Policy Committee. In announcing the appoinment on Sept. 1, the Chancellor of the Exchequer, Philip Hammond, called Kashyap a "one of the leading experts on financial risk." Kashyap is the Edward Eagle Brown Professor of Economics and Finance at the University of Chicago Booth School of Business where he teaches classes on central banking and financial crises. 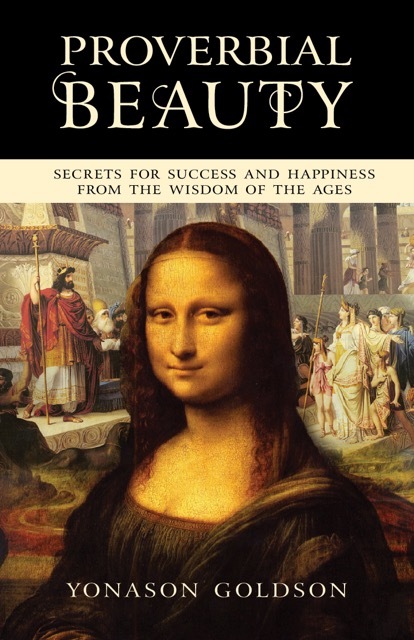 June 2016 — Rabbi Yonason Goldson (B.A., English, ’83) recently published the book Proverbial Beauty: Secrets for Success and Happiness from the Wisdom of the Ages (Timewise Books). Goldson’s book examines how to find tranquility in the midst of chaos, how to savor the moments of everyday life, and how to resolve the paradoxes of the human heart. He lives in St. Louis, teaches and writes the blog Proverbs and Providence. October 2015 — After five years serving as a Superior Court judge in Pima County, Arizona, Christopher Staring (B.A., political science and public service, ’83) was named in October to the Arizona Court of Appeals, Division II. “Judge Staring has a record of integrity and achievement in the legal profession, and has established himself as a well-respected and thoughtful judge on the Pima County Superior Court,” Arizona Gov. Doug Ducey said in announcing Staring's appointment. 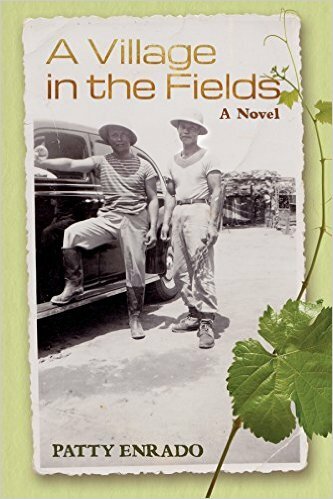 June 2016 — A Village in the Fields, a novel by Patty Enrado (B.A., English, `85), was shortlisted for the William Saroyan International Prize for Writing given by the Stanford University Libraries. The historical novel features an elderly Filipino farm worker who looks back on his long and costly struggle for civil rights. May 2017 — Mike Jameson (B.A., economics, ’85) recently joined TH Real Estate's as a senior executive. A managing director based in San Francisco, he is responsible for originating commercial real estate debt transactions in the western U.S. He previously spent 26 years with Prudential Mortgage Capital Company. In addition to his UC Davis degree, he earned an MBA from the Haas School of Business at UC Berkeley. TH Real Estate, an investment affiliate of Nuveen, is one of the world's largest real estate managers. December 2015 — ﻿Irving Lubliner﻿ (M.A.T., mathematics, ’88) earned his elementary and secondary mathematics teaching credentials at UC Davis in 1976. Although Lubliner completed his coursework in 1976, he fulfilled the last requirement for his M.A.T. degree in 1988. Lubliner taught at middle schools in Novato, Berkeley and Oakland for 31 years. In 2006 Lubliner joined the Department of Mathematics at Southern Oregon University, specializing in mathematics education. In 2014 he retired and was awarded emeritus status. During his career as a teacher, speaker and consultant, Lubliner delivered more than 350 presentations at conferences and in-service training events. He wrote that the training and mentoring he received in the M.A.T. program at UC Davis were invaluable to him as a mathematics educator. Professor Evelyn Silvia, an advocate for K-12 education, had a particularly profound and enduring influence on him, Lubliner wrote.